I thought the service was pretty poor but I still enjoyed the food. The indifference and boredom of the staff was only comparable to the time I went to Hotel du Vin, stood at the bar for 10 minutes without acknowledgement, then turned around and walked out. I wasn’t particularly fussed about missing out on a mojito or so at du Vin but I refused to be dissuaded from a Sunday meal in Clifton. The first part of the service wasn’t too bad I guess. We walked in at 8.30 and the place was very busy so the couple of minutes we spent being ignored were probably understandable. We were told it would be half an hour so I left my number and we took a pre-dinner stroll around Clifton. Sunset, Suspension Bridge, Observatory etc. By the time we went back half the restaurant was empty and it took only a few more minutes for us to be seated. Note ‘minutes’, not moments. Under the stairs on the lower level of the restaurant it was quiet and hidden away. The terracota tiles on the floor occasionally met at a little diamond of a flower which gave it an outdoors feel. Wooden tables and chairs which had a space on the back for menus perhaps. We started with the Mumbai style city snacks which included a kind of spinach bhaji (tasty but dry), a pastry parcel with potato and ginger and one other one which was delicious and soft. The snacks were served with a well seasoned salad. £3.50. The four specials on the blackboard looked good but were ignored as we wanted to try the Thalis. The ‘Thali’ is the stainless steel plate on which the meal is served. Traditionally the meal consists of a protein dish usually in the form of panner (Indian cheese) or fish, a lentil dish such as samber or dahl, a seasonal vegetable accompaniment and is served with rice and salad. We both chose vegetarian options, mine was the Northern Thali and my dining partner’s was the Dairy Free Option. There was a fair amount of fluffy rice and the dahl was soft and spicy. All Thalis are £5 on a Sunday which is another great reason to ignore the service. We ordered soft drinks, lime and soda for me and ginger ale for him. After a sip we both wondered where the flavour was, turns out it was at the bottom of the glass and hadn’t been stirred in. The drinks were fine after a bit of effort was put in. We loved the starters, enjoyed the mains and appreciated the refreshing drinks. However we were told to keep our cutlery after the starter and then were brought another set for the main so ended up with four each. The food was pretty cheap at £18 for two but I had to go and ask for the bill, the waitress was outside, the guy was busy making coffee and a second waitress was doing something else. It was a bit of a wait. The order was wrong but was quickly fixed. The whole thing was not too bad but it felt like it all worked in spite of the staff. They were pleasant but maybe tired at the end of the weekend. I’ll go again to see how it is the second time round. I think it’s definitely worth visiting because the food was good. It helps that it is really cheap on a Sunday and it could have been an off night. I’ve also heard great things about the other ones too. Thanks! 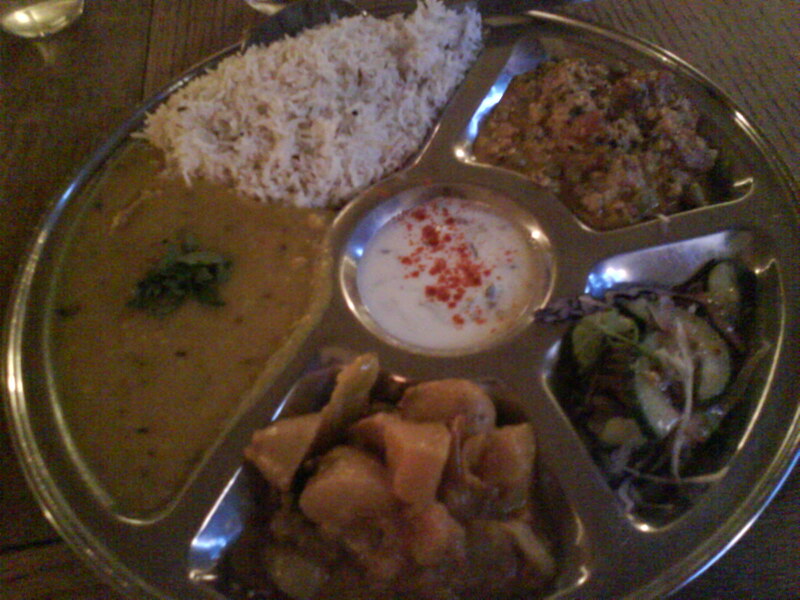 I’ve not been to the Clifton Thali Cafe but the one in Totterdown is invariably excellent. We go often, for takeaway and for sit-down meals, and the staff are always great. That said they do tend to under-staff so it can take a while to get attention, but that’s more than made up for by everything else. How’s the atmosphere in Clifton? I love the decor and music choice at our local one. Hi Kate, the decor was lovely and we enjoyed being there. I wouldn’t mind trying the other ones as well. Have you guys been on a Sunday before? 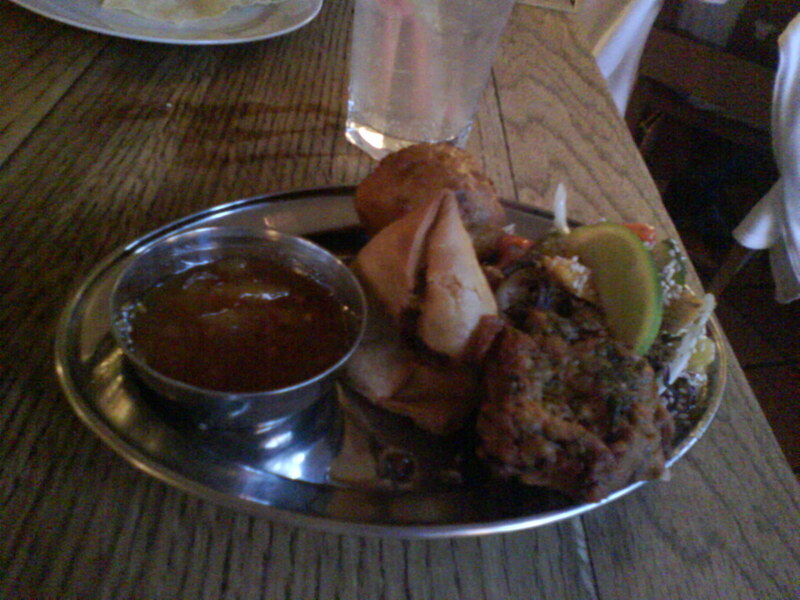 that £5 Thali special is pretty amazing.